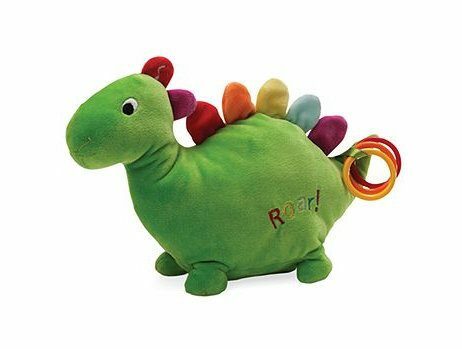 Gund Counting is Fun Dino 8" Plush Only $8.80! You are here: Home / Great Deals / Amazon Deals / Gund Counting is Fun Dino 8″ Plush Only $8.80! Gund Counting is Fun Dino 8″ Plush Only $8.80! Oh my goodness! I think this little plush dinosaur is just about the cutest thing ever. If you have a little one on your list this year, get the Gund Fun Color Counting is Fun Dino 8″ Plush for only $8.80 on Amazon. This is marked down 65% as it is regularly priced at $24.99.